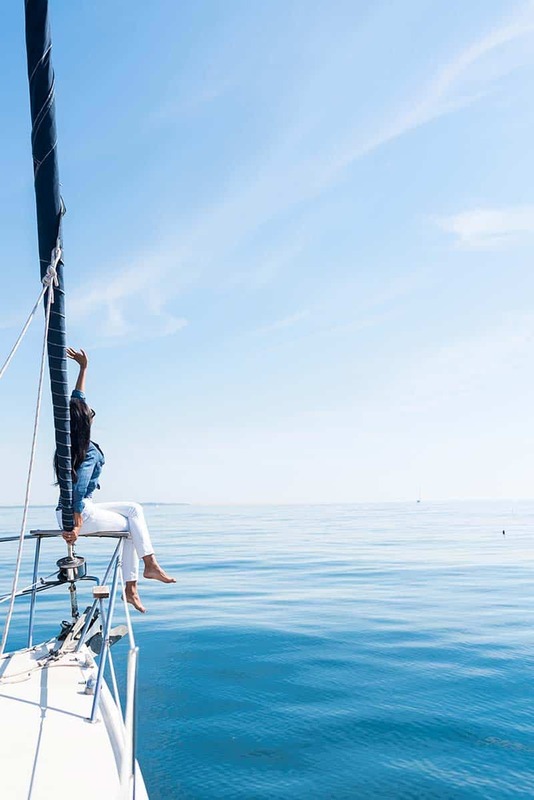 If you’re looking for a destination that blends culture and nightlife, sightseeing and bar hopping, and generally has great vibes around the clock, then we’ve got just the city in mind – Barcelona! The nightlife in Barcelona is known worldwide, as well as the culture and the food. 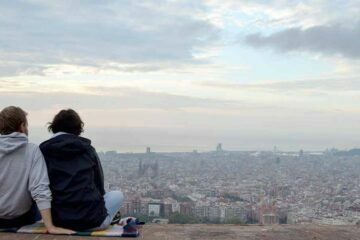 Here you can find all our articles about One Week In Barcelona. 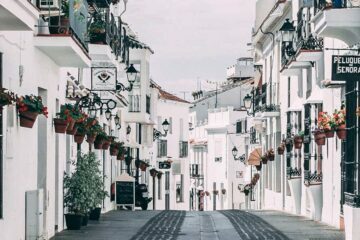 This city on the shores of the Mediterranean has a well-deserved reputation for having some of the best nightlife in Europe. There’s a little bit of something for everyone here, from grimy dive bars to glossy beachfront clubs (and just about everything in between, too). It’s perhaps no surprise, then, that locals can often be found out until dawn on weekend nights, as well as the occasional Monday night. So, what’s the best place in Barcelona for nightlife? We’ve done the painstaking* research of hunting down the very best when it comes to the party scene in the city. We’ve also got some tips so you can party like a true local. Nightlife in Barcelona almost certainly gets started later than you’re used to! Bars don’t get busy until around midnight on weekends and close around 3 a.m. Clubs are almost never busy any time before the bars shut, and they’re open until 6 a.m.
That means you might want to have a nap before you head out for the evening! For getting to and from your nightlife, there are a few different options: the metro, the bus and the night bus, and taxis. The metro runs until midnight during the week, 2 a.m. on Fridays, and all night on Saturdays. Taxis are generally inexpensive, so they’re also a good option. 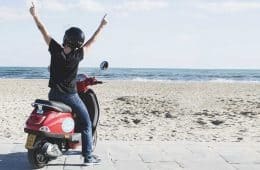 Check the full information about how to get around Barcelona. Apart from the late-night schedule, one thing you might be surprised about in Barcelona when it comes to nightlife is the amount of guys on the street offering you beer (and sometimes something more illegal). It’s illegal, but they do roaring business anyway. Locals often sit outside in the squares and streets, and sometimes the beach, to enjoy a couple of beers with friends. 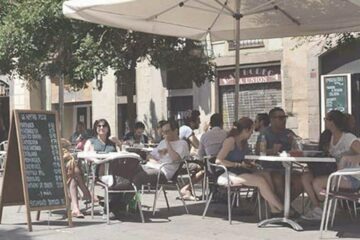 In general, Barcelona is a pretty laid-back city, both in terms of attitude and how people dress. For lots of places, you don’t need to be super dressed up to get in. That being said, save your shorts and flip-flops for the beach (as well as your soccer jerseys for the stadium). To be on the safe side, wear dark shoes rather than white ones, and never wear running shoes. Apart from that, just about anything goes most of the time. The exception to the low-key rule is the beachfront clubs and upscale venues like Sutton or Bling Bling. 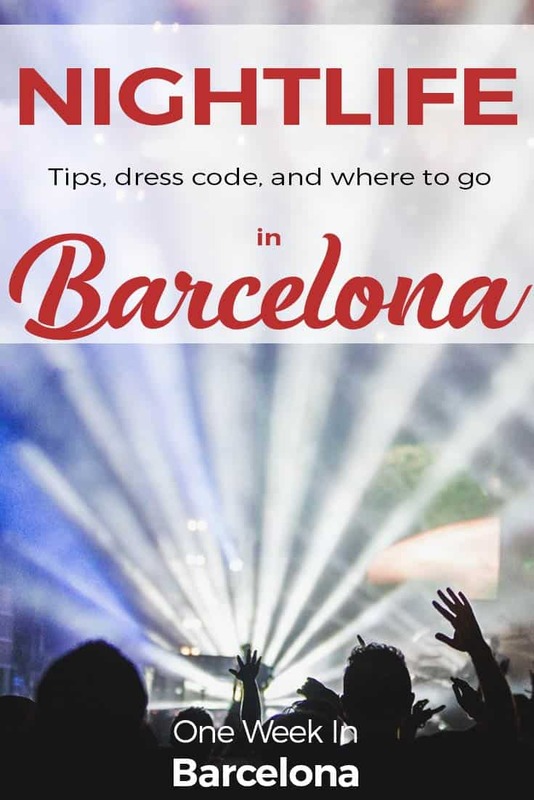 There, you will be expected to wear stuff like collared shirts and dress shoes for guys, and chic dresses or club wear for girls.Lots of girls wear heels at these clubs, which is quite unusual for Barcelona. To make sure you’re sticking to the dress code, just do a quick search before you head out if you’re worried. Is Barcelona safe at night? In general, Barcelona is a safe city – although it is home to a lot of pickpockets. Drunken tourists make for a very easy target for them, so be sensible with your stuff when you’re out at night. It’s generally common sense stuff, so there is no reason to be scared. Just be aware! So, where are the best places for nightlife in Barcelona? So glad you asked! I’ve got you some of my favorite places. Get on your dancing shoes and get ready for a CRAZY night out, Barcelona style. Apolo hosts one of the best parties in the city – Nasty Mondays. Which, yes, is held on a Monday night! Although Mondays are their best-known night, Sala Apolo is the place to go any day of the week if you like indie and electronic music, and there are often concerts held by artists in town. Apolo actually started out as a theater, and you can still see touches of the former structure in the upstairs ballroom. The easiest way to meet other solo-fellow travelers to party with is to join a Pub Crawl. What is a Pub Crawl? An expat or local who loves to party will take you around the pubs in the city with other pub-crawlers to drink, laugh and party. Normally, the Pub Crawl final stop will be a Dance Club, where you and your new friends can dance until you are run out of energy. The hillside park of Montjuïc is filled with gardens and museums – and also this open air club! 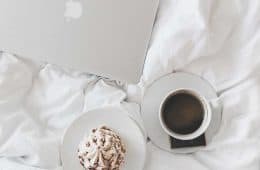 Their specialty is electronic music, and there’s no cooler place to enjoy the latest in all things electronic than under the stars at La Terrazza club. Because it’s open air, it’s only open in the warmer months. However, it more than makes up for it with a calendar jam-packed with top-notch artists, both local and international. De aquí a 21 días, los viernes tendrán esta pinta ? Ya queda menos para abrir nuestras puertas: estos son los LINE UPs para las 2 noches de nuestro #Opening2017 ?Viernes 19/05: @noregularplay, @turko_fakeout y @saulopisa ?Sábado 20/05: #IvanSmagghie, @odd_oswald, @yoanlokier & @turko_fakeout ?CLICK EN EL ENLACE para saber más sobre tickets y mesas VIP ? Barcelona’s biggest – and possibly baddest – club, Razzmatazz is spread out over five rooms, each with a different musical theme. It might take you a few visits to get your bearings in this maze-like club! The whole club is open on weekend nights and holidays, though there are smaller parties in the structure during the week (particularly on Wednesdays, when international students love to go). Because this has so many different types of music, it’s a great place to go for a group with lots of different tastes. 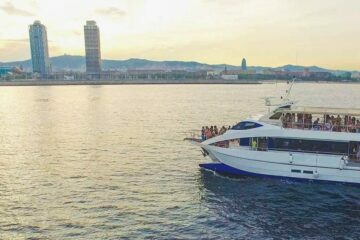 One of the best parts about Barcelona is that it’s right on the shores of the Mediterranean – so why not take advantage of that and enjoy a boat party in the city? 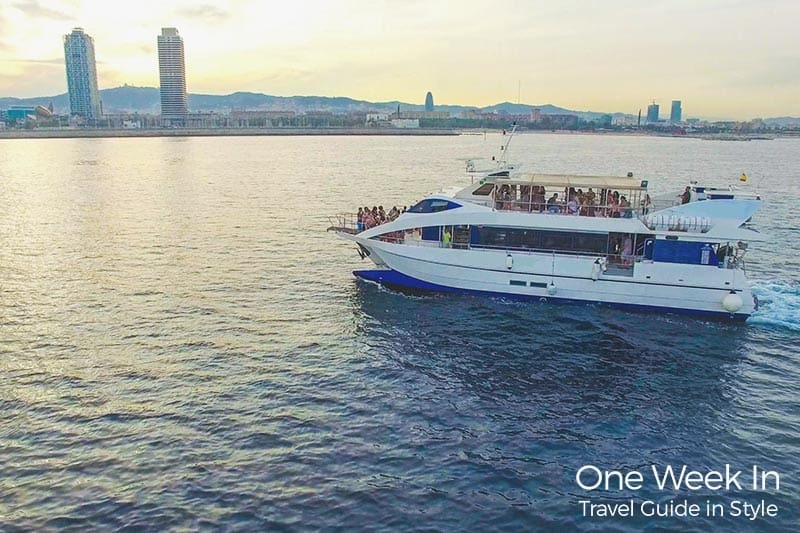 Stoke Travel organizes boat parties that have earned a legendary reputation, with a mix of great DJs, unbeatable views, and with a drink in your hand to boot. You couldn’t ask for a more central location in Barcelona than City Hall. It is just some steps away from Plaça Catalunya. With different themed nights every day of the week, there’s always something going on at this buzzy club. They often host themed parties too, like a glow party or flamenco dance performances, as well as hosting local and international DJs. Just outside the Gràcia neighborhood, Otto Zutz is housed in what used to be a textile factory. Spread out over two stories plus a terrace, it’s inspired by industrial New York clubs. They have lots of different styles of music playing in the different rooms, and it’s one of the few clubs in Barcelona that plays hip-hop music. So, party animals! If you do not know where you will end up, this nightlife ticket can save you lot of money. With it, you will have free admission to 29 Nightclubs around the city. Plus you will get discounts in bars and restaurants nearby the nightclubs. Important note: Be aware you can only get in the clubs before 2AM. Gay and gay-friendly club Arena has certainly got a crowd-pleasing playlist of house and electronic music, dance hits, and current pop songs. There’s also a nice dose of retro songs. Their sister club Aire – Sala Diana is designed for the lesbian community and plays a combination of classic hits and Latin music. No matter where you go, you’ll end up in a friendly and fun night out where everyone’s welcome (as long as you’re respectful, of course). Located in the heart of the Gothic Quarter, Marula makes a great stop because of how central it is. That would be enough to get people through its doors, but they also stand out for their great selection of music. If you’re not into the electronic or house scene, this is a great place! They often have jazz and soul inspired music with a funky touch. It’s one of the more laid-back Barcelona clubs, so if you’re looking for a relaxed night out, this is the place to go. Besides a Pub Crawl, this is another fantastic place to meet and greet other solo-travelers! As the Champagne Sunset tour is during sunset, you will meet your new party friends and have freedom about what to do afterwards. Get glammed up for an evening of champagne, cocktails and chilled beats. Convince your travel mates to go party like a true Barceloní (person from Barcelona). Barcelona is known also for hosting many venues and concerts. Many of my European friends do come over the city with a main reason: to see their favorite artists. Check out if there is any interesting concert during your stay and get tickets while you’re in town. You might get lucky and see a great band! Chic and exclusive, Sutton is definitely one of the fancier clubs in Barcelona. If you love getting all dressed up and having glamorous nights out, then Sutton is right up your alley with its elegant dance floor and multiple VIP areas. World-class DJs frequent their stage to treat club-goers to a night of fun for the well-dressed crowds. If you like listening to rock music, then you’ll probably love Sidecar! This small but action-packed club beneath Plaça Reial hosts a mix of rock and electronic concerts throughout the week. It’s open every day, and there’s almost always a good crowd dancing along to the music here. Don’t forget to check out the program of concerts on their website if you’ve got a particular style of music you’d like to listen to in mind. Not surprising, Barcelona offers the best Music festival scene in Spain. Crowds from all over the world come to the city to attend Music festivals. 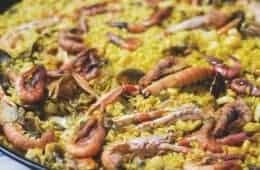 Cruilla de Cultures: This festival is not only a music festival, they aim to promote social inclusion. They include immigrant associations and non-governmental entities in the festival attendants. You might hear hidden voices here. Primavera sound: during 3 days you will be able to see great independent artists and bands in an unique space, Forum de Barcelona. Bear in mind, most of the tickets of these festivals are sold out months before the Festival. Also, the accommodation in Barcelona is quite busy during these days, so we totally recommend to book in advance. Have a look at Barcelona accommodation here. What was built to host the sailing events for the 1992 Olympics in Barcelona is now home to a slew of bars and clubs right on the beachfront. You won’t find a better location for partying in the city, as you can watch the sun rise over the waves of the Mediterranean as you finish up your night (we did say that Barcelona nightlife goes late!). If you’re looking for something different to do, stop by the Ice Bar, where everything right down to the glasses is made out of… ICE. Well, you will need an extra jacket here! Note: They can lend you some warm clothes in case you need them. During the summer months, there are many neighborhood festivals around the city. During approximately one week, the neigbourhood will celebrate their community and host different events. Normally. Most of them, they do offer an open-air concert. And these are a great point to start your party! The most known is Festes de Gràcia, with their colorful decorated streets. But there are many more. Check all the neighborhood festivals here. Fancy more culture? Join one of the many flamenco shows dotted around town. 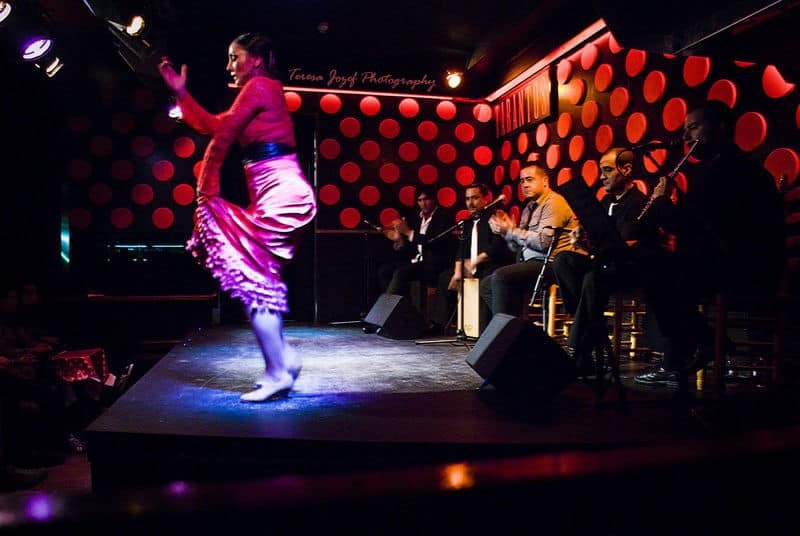 It is a big cultural package: Flamenco, live music and tapas. Head to Barcelona Life for more info on buying tickets for the best flamenco shows in town. Here you have it. By now, you should have some ideas for an epic night out. Get your friends and get in the best clubs in Barcelona. Of course, do not forget to check the events when you know the dates, there might be a special theme party that you will love to attend. For additional information, check out Barcelona things to do at night. I collected there many other ideas on how to spend a night in Barcelona. I do love to share the information about my beloved city! We got plenty of information on how to spend one week in Barcelona. From where to stay in Barcelona for a first timer visit to 33 day trips you won’t expect. Any questions, own ideas? Just leave a comment below. Now, get out there, and Let’s party! Anna is a travel and fashion lover with a nerdy passion for languages – 6 languages and counting. She called several places across Europe and the world her home, and with age 16 she lived in the USA as well. Today, Anna works location-independent. 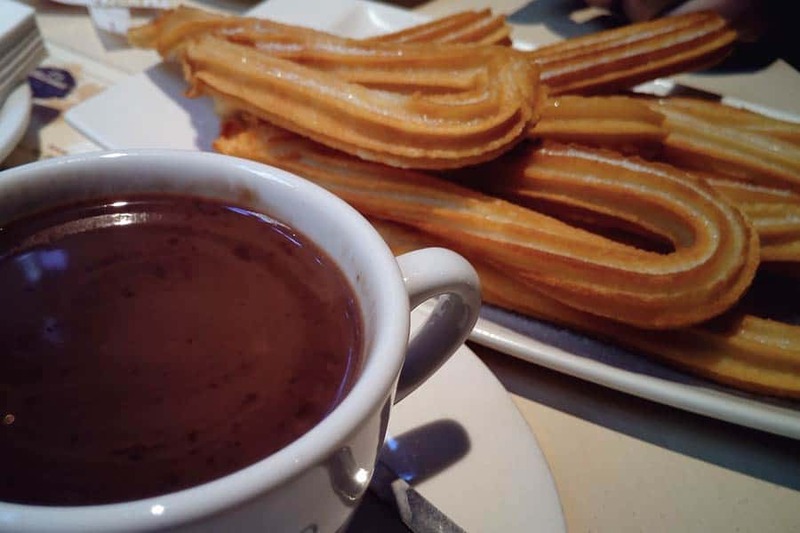 Nice article Anna, It helps me a lot on a visit to Barcelona.